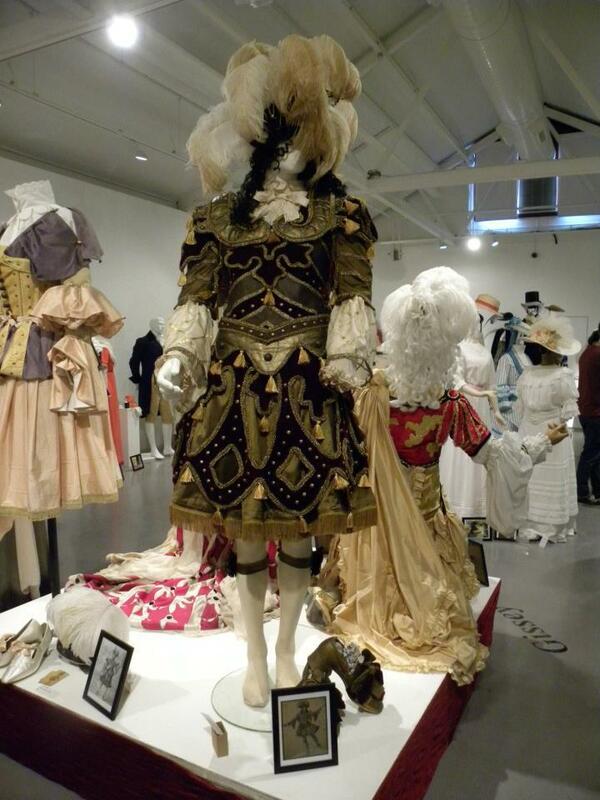 This Baroque court theatre costume was designed by Henry Gissey. This costume was exhibited at Hampton Court Palace and was later bought by Past Pleasures. The rich red and gold colour scheme was inspired by the interior of Hampton Court Palace, as well as the extravegant use of trim throughout the costume. I aged the white shirt and flounces on the sleeves using potassium, a decision I came to following a fitting under theatre lights where I noticed that the white outshone the deep red velvet and gold silk. When making the headpiece I also ombré dyed the ostrich feathers in potassium, so that the costume came together well as a whole. I decided to use leather to create the design on the bodice of this costume, as the character was a male hunter, so I thought leather to be fitting. 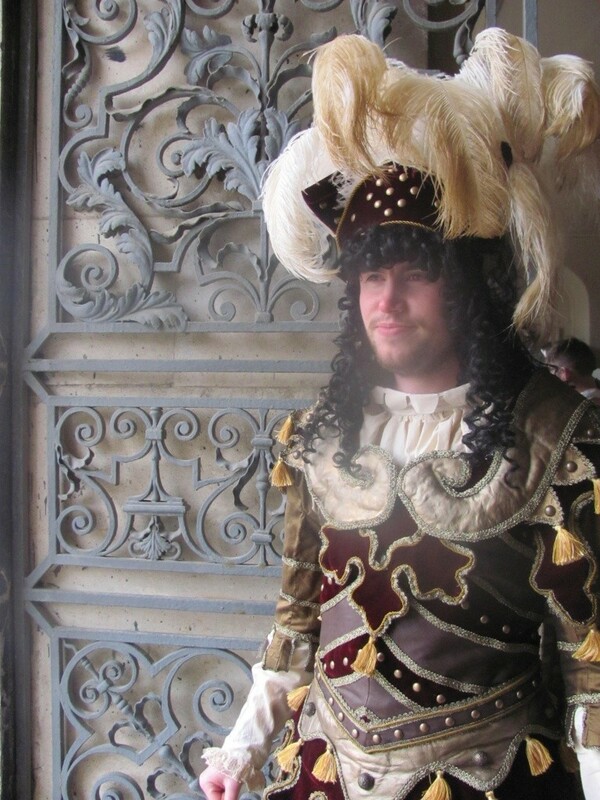 For the sections that looked more like armour, I made felt, which I then covered in leather that I had painted gold, before embellishing with trim. For the shape of the skirt I made a pair of very full petticoat britches, which I edged around the bottom with a thick canvas to give the skirt the volume that it required.